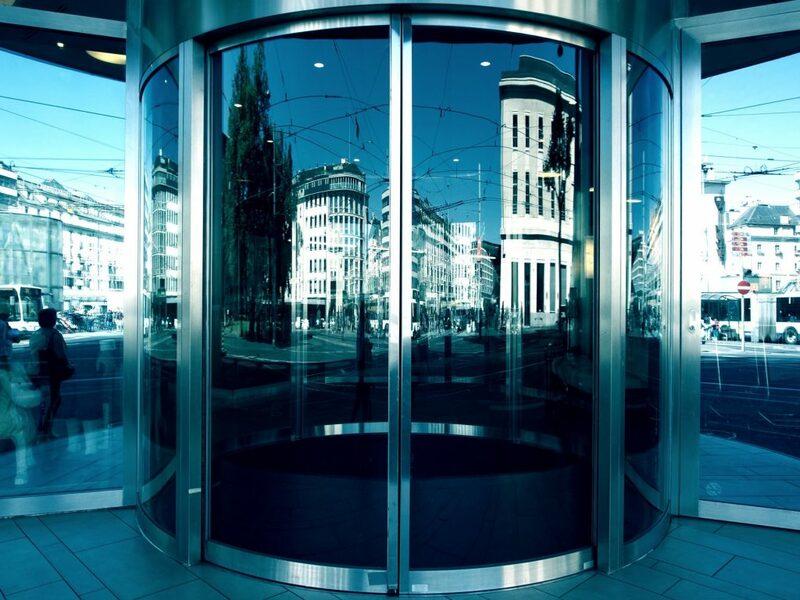 Walking in through the large revolving front door of a prospect’s office building can be a heart-poundingly, uncomfortable moment for even the most seasoned of salespeople. From the very first hello at reception, to the long walk as you’re escorted to the meeting room, you can feel the effect of their scrutiny and possible disapproval digging at the pit of your stomach. And once you’ve said goodbye and found yourself back on the street, there are certain occasions when you feel that you’ve ended up with even less of a connection than before you’d met them. But none of that has to happen if you’re aware of how to take ownership of the power used to create those feelings. If that’s something you’d like to take control of, there are TWO PERCEPTIONS I need you to have fully-formed in your own mind, before you embark on your next customer appointment, telephone conversation, or even written correspondence. Perception #1: How You Want To Be Perceived On Your Way In? It used to be said, that you only have as long as it takes for a small match to burn down to your fingertips, for you to make a first impression. During those few seconds (never more than 10), people will have already made countless judgements about you (it doesn’t matter if they’re right or wrong – that’s how they see you) and after they have, it’s a long, hard, up-hill battle to try and convince them that they’re mistaken in any way whatsoever. Ask anyone who has had the misfortune of inviting an unshaven double-glazing salesman to take a seat in their lounge – shuffling in with his tatty, unpolished shoes and a large sauce stain down the front of his un-ironed beige shirt – and they’ll tell you straight away that they never trusted the quality of the windows being discussed. But in the 21st Century it’s not just the way you look or present yourself anymore that affects a first impression. You have to ensure that your online presence is stunningly professional too (they will definitely look you up before they meet you) and you have to give the impression that you’re organised and that your time is a precious and expensive commodity (which it is) by sending or confirming online invites . Perception #2: How You Want To Be Perceived On Your Way Out? Just for a moment, let’s not think about what you have to achieve for your company or the amount you have to sell to hit your target – and put to one side the creation of that thirty second killer introduction or gob-smacking presentation. Instead, give yourself two minutes to decide how you want your customers and prospects to talk about you – once you’re no longer in the room. If all your customers got together for a big party to celebrate your career – and the incredible impact you’d had on theirs – what would you want them to say about you in the speech before dinner? Write down the key phrases, feelings and observations you’d want them to say – get a blank, A4 piece of paper and lay out a rough copy of how you want to be thought of and remembered by this collection of all your customers – past, present and future. Now dig a bit deeper. If you’ve written words like “Professional” – extend branches from those words with what you actually mean by them. Professional means lots of different things to different people. How would people know you were professional? What would you have to have done? Lay out in front of you, on that piece of paper, the salesperson persona you wish to be associated with in the minds of other people. Look in the mirror, would you buy from you? Make sure you’ve planned out where you are going to be over the course of the next month. Apart from the obvious time management advantages you’ll also appear to be busy and organised enough to be viewed as a competent and in-demand supplier. Understand the purpose of each and every call – don’t waste your time or ever think of wasting the time of your customers. The journal you write your notes in, your pen, your presentation material, your lap top case – do they all scream “I’m the person you should be doing business with”? Charge everything that needs charging the night before – also have enough business cards and all the marketing materials that customers and prospects regularly ask for, with you at all times. Pick a winning, positive, helpful and friendly attitude – that in itself will set you above 50% of most other salespeople. When you visit prospects and customers you’re a guest, please act like one. Listen to, and interact with, the conversation that THEY want to have with you – don’t talk about the Drill you’ve come in to sell, ask them about the Hole they’re trying to create. 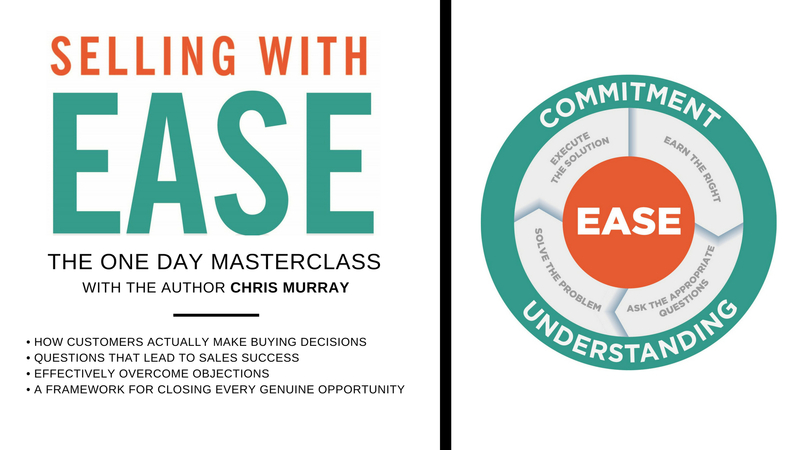 Become the kind of salesperson that you’d personally recommend to your friends and family. Now – don’t get me wrong – there have been a couple of times during my sales career when I attended a meeting with prospective clients and felt more than a little intimidated. Sometimes it was because of the size of the opportunity in front of me, sometimes it was the big company name – and once in a while I just felt completely out of my class. And I’ve worked with a few teams in the past who struggled to adapt when their company asked them to “Go Premium” – others who had a mental glass ceiling when it came to large ticket prices – and a few who collapsed under the pressure of presenting to a room full of shiny brogues and pin stripes. Don’t ever feel that you need to rise to the pressures of the occasion – instead fall back onto your training and experience.